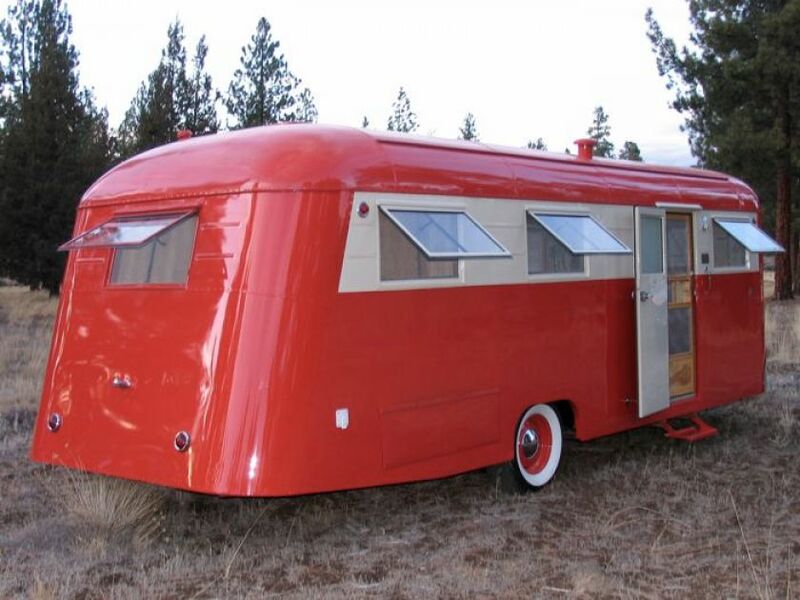 In a culture characterized by advancing technology, who knew that an old, beat up trailer could turn so many heads? While some might look at at a trailer made in the 1940s and see a lost cause covered in rust, Justin and Anna Scribner see the potential. What started out as a hobby quickly turned into a lifelong passion when the couple opened their shop, Flyte Camp. 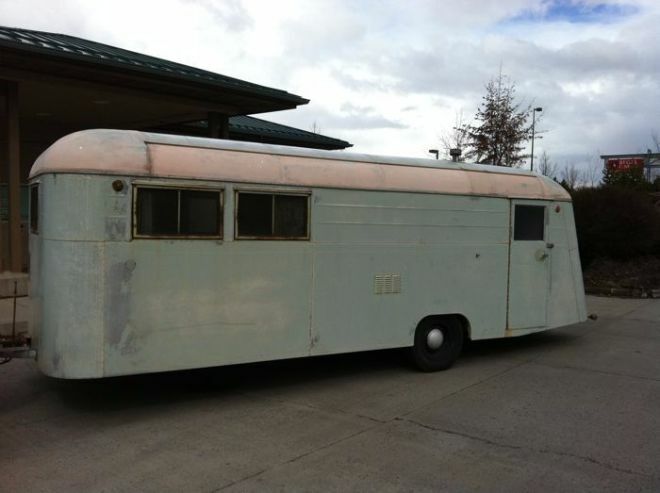 Flyte Camp is a shop that specializes in the restoration of vintage travel trailers from as early as 1930. Jason Scribner explains, "It was 100 percent craftsmanship back then. They were done by hand, and it didn't matter how long it took. They were true craftsmen and finish woodworkers." 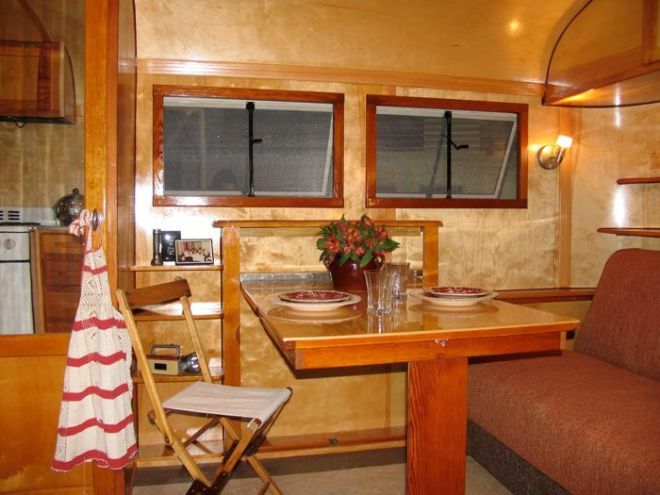 Because so many contemporary RV interiors are covered in plastic, the woodworking is exactly what is so impressive about this 1947 Westwood Coronado. 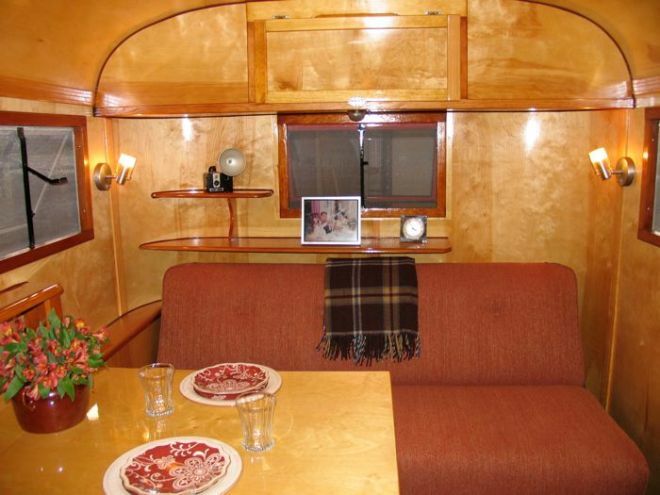 Its interior has been fully restored with birch paneling and fine attention to detail. Flyte Camp's crew handles almost every aspect of the renovation such as framework, metal fabrication, flooring, and plumbing. With such flawless results, Scribner's commitment to craftsmanship is apparent. Before it was given its shiny, red exterior, the old Westwood was looking a little rough. 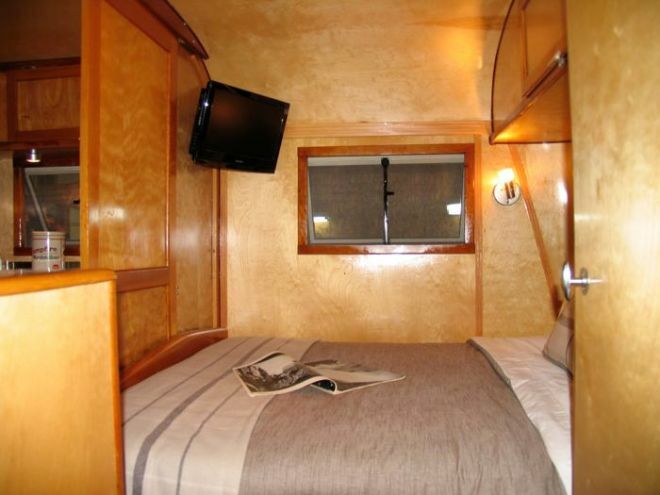 Flyte Camp worked hard to remove the trailer's broken appliances and outdated tilework. 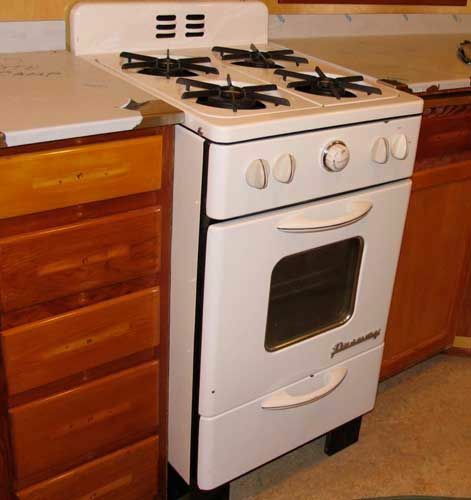 They were able to salvage some of the cabinets and refurbish them for an enhanced look. 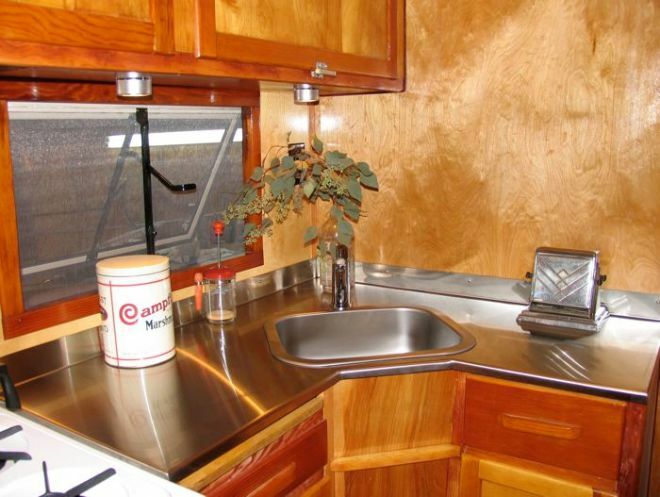 After inserting some stainless steel countertops and wood paneling, the RV still has that retro charm. 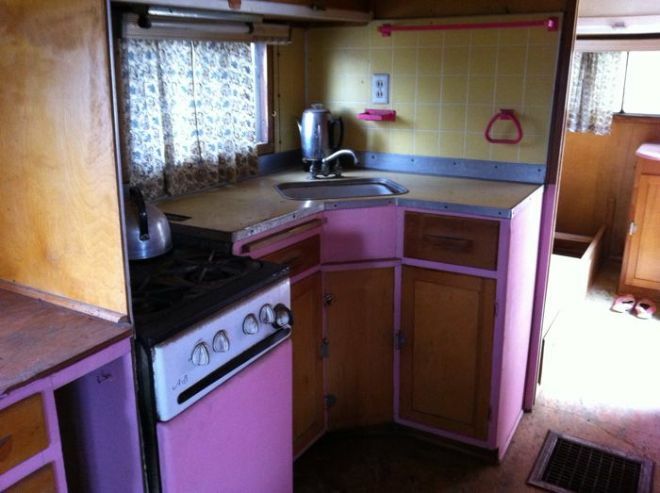 They even found a way to replace the obsolete pink oven and still preserve the vintage flair. The living room doubles as a dining area. The handcrafted dining table and window frames exemplify Flyte Camp's dedication to quality. Here you can see how the custom shelving and warm lighting contribute to the homey feeling of the Coronado. 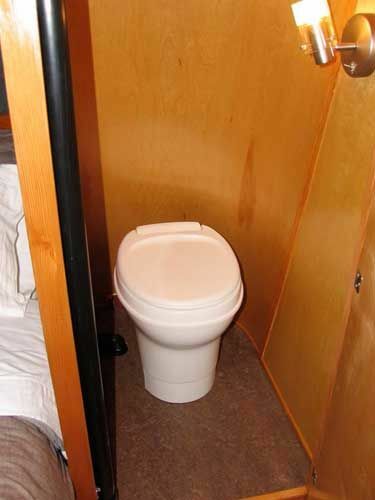 Although the trailer doesn't have a full-sized bathroom, this water closet is still larger than the original version. The meticulous wood detailing continues when you enter the bedroom. While you might be convinced that you have entered a time machine, the new TV in the corner will bring you back to 2016. What do you think of this trailer? Make sure to SHARE it if you enjoyed the tour.